ok, so i’ve re-written this post about three times over the last couple of weeks. and i’ve realized that there is way too much that i can write about on megapixels. i don’t want to over run you with all the technical mumble jumble out there that mostly just confuses people. plus, this is a buying guide, not a seminar on micro electrical engineering. so here it is. the reason why there is so much to be written about on megapixels is because it opens the flood gates to everything partaining to image quailty. i don’t want to get into all of that. the simple matter is that most people believe that the more megapixels you have the better the image. unfortunately that isn’t quite the case. 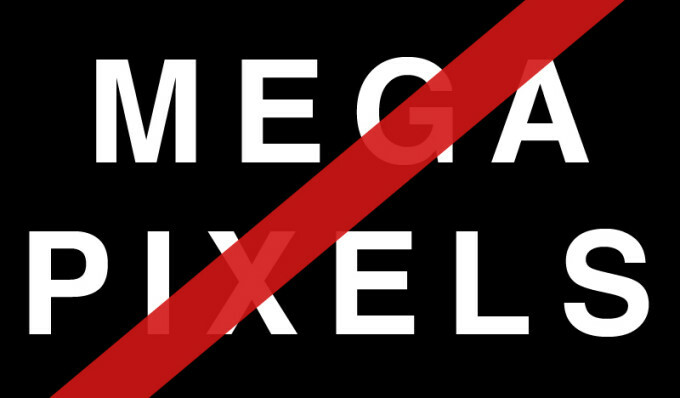 back in the day, all of 5 to 7 years ago, megapixels did have a direct link to image quality. at 1 or 2 megapixels there wasn’t quite enough pixels to cover a standard print. but fast forward to today, where the average camera has 8 or 9 megapixels, there is no question that a standard print size is well covered. for the most part, a 5 or 6 megapixel camera is all you really need to print up to an 11×14″ print. i guess i’m going to have to get into image quality a bit to explain some other things. image quality takes in account a number of different factors; quality of the lens, sensor type & size, image processor and of course megapixels. for the most part you will get the majority of your image quality from the lens of the camera. better lens, better image. sharpness, contrast and even color depth all come from the lens. this is why most photographers, and hopefully most camera sales staff, will tell you that when buying a digital SLR system you’re better off buying the best lens you can afford and couple that with a lesser body. the end result will be much better than if you were to buy a really expensive body and a cheap lens. – more heat produces more noise (or “grain” if you will) in the higher ISOs. which means in layman terms, that your pictures in low light will look grainier. if you want more specific information on each technology click the sensor types above and it’ll take you to a wikipedia page. there is one other sensor that Sigma is helping to develop, it’s called the Fovean sensor. it tries to mimic film buy layering a red, blue and green sensor ontop of eachother to make the image. they haven’t quit prefected it yet, but when they do, it’s going to be another story. quickly, image processor also has an effect on image quality. the processor is what takes all the information from the sensor and makes it into a the picture you see. now different grades of processors will output different images. for instance, the Nikon D60, D80, and D200 all have the same sensor in it, but all three have different processors. because of that, you’ll find the the images coming out of each camera will look different, with the D200 looking the best. now sensor size. the size of the sensor has a direct coloration to image quality. each style of camera has a different size of sensor. a point & shoot camera has a really small sensor, about 6×4.5mm to 7.5×5.5mm. a crop-frame digital SLR will have a sensor size from 18×13.5mm to 23.6×15.8mm. and a full-frame digital SLR will have a sensor size of 36x24mm, which is the same size as a 35mm negative. (i’m leaving out anything bigger than full-frame digital SLR. there is bigger but it’s a different can of werms) the reason this matters is because the higher the number of pixels on each size of sensor will affect the amount of heat generated as well as the quality of light it is capturing. 9 megapixels in a 6×4.5mm box is a really tight squeeze. the pixels are really small and will generate a lot of heat, as well as each pixel won’t capture as much light. now take those 9 megapixels and lay them out in a 36x24mm box, each pixel is physically a lot larger to fill the space. a lot less heat is generated and each pixels captures a lot more light. a couple of years ago i was at a Canon training and a technical rep explained it this way. think of a football feild as your sensor. now fill the field with 12 million buckets. when it rains each bucket will only capture a little bit of water. now fill the field with only 6 million buckets. when it rains each bucket will capture much more water. the more light each pixel captures the better the image will be. and that is megapixels don’t matter. image quality is made up of so much more than just then amount of pixels. so if you’re looking for a point & shoot camera this Christmas, you’re most likely better off buying a camera will less megapixels then more if you want better image quality. if you are really worried about getting the best picture you can, worry more about the lens on the camera than the megapixels. it’s a bit of a quick whirl-wind of information, and to be honest it’s a bit spotty. please feel free to add any information in the comments.